Last weekend marked the two-year anniversary of the internet introduction of The Dress, the totally gold-and-white garment that a lot of people seem to incorrectly think is blue and black. Now, a new, slightly more delicious version of The Dress is making the rounds online, but with some science behind it. You take a red apple outside under a blue sky, there are more blue wavelengths entering your eye. If you take the apple inside under a fluorescent or incandescent light without that same bias, the pigments in the apple are exactly the same but because the spectral content of the light source is different, the spectrum entering your eye that’s reflected off the object is different. Thus, our brains have evolved to see colors as we know them to be, rather than as they might appear in different lighting. 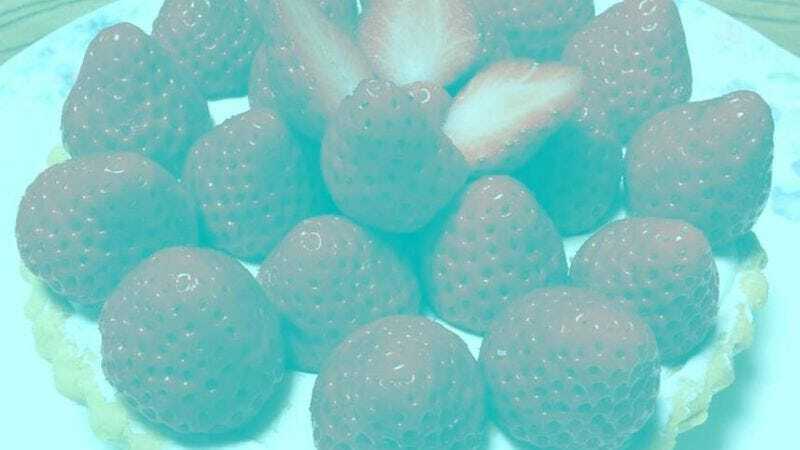 In the photo above, viewers see the strawberries as red because they know them to be strawberries, and so they’re already looking for red pigment. With The Dress, the light source was unclear, so people’s brains corrected for whatever lighting they believed the dress to be in, creating the discrepancy.